Thanks to the N.H. State Library and some of the Library’s special funds, library card holders in Warner have access to all of the following (passwords required for some). (Works for mobile devices and PC’s and Macs) at http://nh.overdrive.com (requires login access code – contact the library). EPUB and Kindle ebooks, magazines and mp3 audio books available. New in July 2018: downloadable magazine issues (must use the Libby for OverDrive app). Indexes, full text articles, and other resources from EBSCOhost . Search by topic, magazine title, date, etc. EBSCO includes NoveList book and author information, and reading suggestions. Uses the same password as for other EBSCO resources. Novelist Plus includes non-fiction. Novelist K-12 focuses on books for youth. 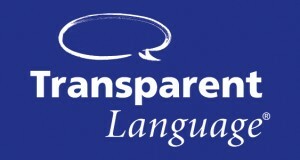 Transparent Language Online. Personalized lesson tracking and vocabulary practice. sign up using your library card and email address.